The most populous nation in Africa, Nigeria is being touted by some as the next big education market. The combination of a rapidly growing population and burgeoning middle class has given rise to a huge demand for quality education in Nigeria, as well as significant opportunities for foreign education providers to meet that demand. Today’s ICEF Monitor post draws upon market updates and other insights we gathered at the recent International and Private Schools Education Forum (IPSEF) London Conference to take a closer look at education trends in Nigeria, and explore best practices for approaching this burgeoning market. Though working in Sub-Saharan Africa is not without its challenges, it can be – as those with experience will attest – definitely worth the effort. With approximately 169 million inhabitants and growing, Nigeria is leading Africa’s population rise. Its population is expected to exceed that of the US by 2050, and Nigeria could be the world’s third most populous country by the end of the 21st century, according to UN projections. The capital Abuja is often referred to as the “Washington DC” of Nigeria, but the nation’s financial hub – where business gets done – is Lagos. One of the world’s largest urban areas, the population of Lagos has nearly doubled over 15 years to reach 21 million and by 2015, Lagos will be third largest megacity after Tokyo and Bombay. But population isn’t the only thing on the rise in Nigeria. 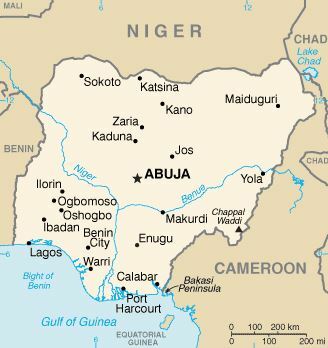 Boasting the world’s tenth largest oil reserves, Nigeria is expected to enter the “economic stratosphere” between now and 2050, with the highest average GDP growth in the world. Annual GDP growth has been around 7% over the past few years, as compared to 2.8% in the US in 2012 and less than 1% in the UK, that same year. In Nigeria in particular, the demand for a quality education is prompting some families, especially those from the upper and middle classes, to look to the West. Perhaps not surprisingly, schooling in the UK is a popular choice, given the UK’s historical and cultural ties with Nigeria. By some estimates Nigerians spend £300 million annually at British universities and elite secondary schools, and invest £250 million in British property, including student accommodation. According to the January 2013 Independent Schools Council (ISC) Census, approximately 1,600 African students are registered in an ISC school, around a third of which are Nigerian. And Iain Stewart, member of the British Parliament, estimates that 30,000 Nigerian students will be studying in various universities across the United Kingdom by 2015. British and other foreign education providers looking to make inroads in Africa may want to take note of such figures. In short, contacts are everything in well-connected Nigeria, and any education providers looking to explore the Nigerian market should conduct research to embark on the right approach from a relational and cultural perspective. While it is important to develop effective and successful relationships with recruitment agents, Mr Brooks also suggests not relying on agents alone, and proactively developing relationships with local partners and schools. Foreign education providers looking to foster links between top schools in Nigeria and the UK should get buy-in from the head and governors, and consider working with school leaders to develop exchanges, for example, to benefit schools and the nation. It is also important to set reasonable expectations: focus on a few schools and linkages, and set a realistic budget for any trips, on the ground work, or fairs, as living costs in Nigeria are high. It is a significant market for UK boarding schools with over 23,000 students enrolled at 72 British-oriented schools across the country. In urban areas, 43.6% of children attend private schools, and in Abuja alone, the number of pupils enrolled in independent schools has increased by 275% over the past three years from 800 to 3,000. In Lagos State, there are over 12,000 private schools, as compared to 1,700 public ones. Of note, the state has achieved the Millennium Development Goals (MDGs), and its Commissioner of Education, Olayinka Oladunjoye, estimates that only 1-2% of its children are not in school. Low-cost private education is also expanding across Sub-Saharan Africa. James Tooley – a professor of education policy at Newcastle University and the Chairman of Omega Schools, a chain of 40 low-cost private schools across Ghana and Sierra Leone – has found that burgeoning numbers of low income families are willing and able to pay for education. Among the market solutions for education “at the bottom of the pyramid,” Mr Tooley has found that a “pay as you learn” model, which enables students to pay for school on a daily basis using a cash-free card system, effectively meets the needs of families who don’t have the ability or income stability to save and plan. But why, given that public schools are free, do Nigerian parents send their children to private schools? While the prestige and pedagogical style of some private institutions are factors, the overriding decision is often quality and accountability for ensuring pupils learn. For-profit schools typically outperform the public schools and operate at a lower cost. When the total cost of public schooling is factored in, including uniforms and books, private schooling is comparatively affordable – even for lower-income families. It is factors such as these – as well as the need to improve curriculum, enhance teacher knowledge, and drive vocational and technical education – that are driving private education investment in the region along with interest in public-private partnerships. Africa is diverse and ever-changing: it is important to be open to change and have a structure which allows for flexibility. Plan for all eventualities that could constrain project planning, even extreme ones, such as terrorism and kidnapping or revolution (having £20,000 in cash in a school safe enabled them to get teachers onto departing flights during the Libyan revolution). It is important to be on the ground, get a feel for things, and work with local town planners, government and embassies. Have a well-structured approach to recruitment and succession planning. Things don’t always move quickly, so be patient. Decision-makers: go to the top. As many in the field can attest, if it all goes too smoothly, something is probably wrong. However, there are many positives, and as Mr Colledge notes, at the end of the day, it is important to maintain humour, flexibility, and focus on the students throughout. This entry was posted in Africa, Agents, Higher Education, K-12, Most Popular, Nigeria, Regions, Vocational and tagged boarding schools, student enrolment, education abroad, student recruitment, prep schools with international students. Is your marketing answering the right questions? You’ve imeresspd us all with that posting!